2B HYRAULICS are able to supply a full range of wet kits to suit various applications such as tipper, walking floor, etc. Trucks and semi-trucks that have a Power Take Off (PTO) often use a wet kit. Each wet kit is made up from a variety of products. They consist of items such as hydraulic hoses, filters, control valves, pumps, reservoirs or tanks, and PTOs. 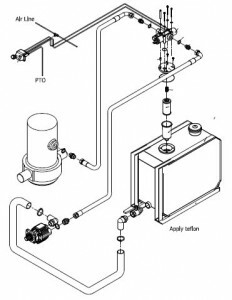 Hydraulic fluid is sent through hoses and into cylinders when the PTO initiates the activity of the pump. Once the hydraulic fluid gets into the cylinders, the PTO will operate and carry out the function you require. 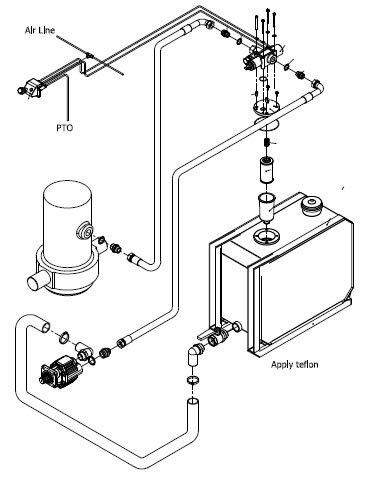 As part of the closed cycle,the fluid is then returned to the reservoir . As wet kits vary, please Contact 2B so that we can suggest the best wet kit options to suit your personal requirements.